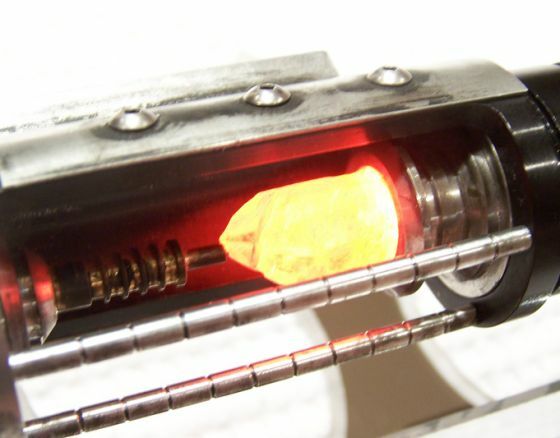 The definitive Starkiller Lightsaber! 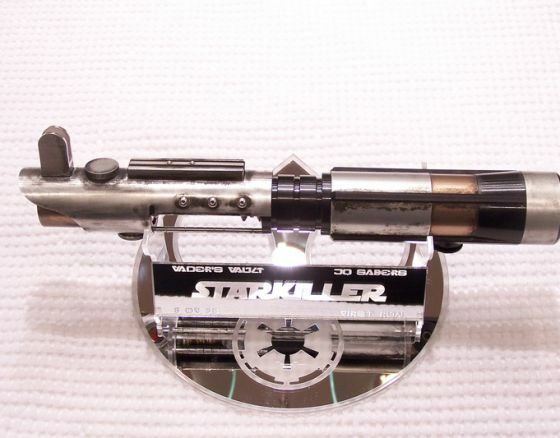 Vader’s Vault’s interpretation replica of Galen Marek’s lightsaber from the Force Unleashed videogame by LucasArts. 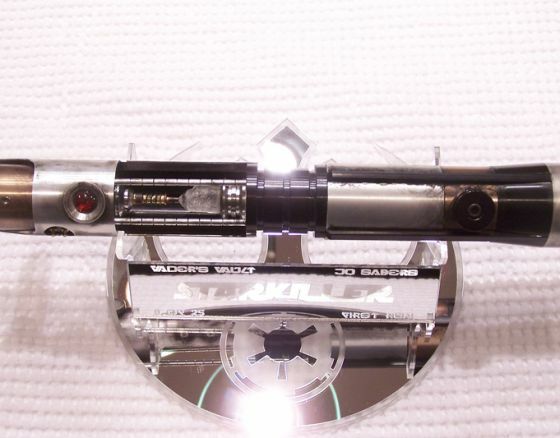 This piece was designed to be as faithful to the videogame version as possible in a fully functional custom lightsaber. Designed by Vader’s Vault, engineered and CNC manufactured by the unparalled machining of Orbital Machining, and in collaboration with JQ Sabers.